Some partners hold the Family Planning Certificate and offer a full range of family planning care (contraceptive pill, IUCDs, caps and injectable contraception). 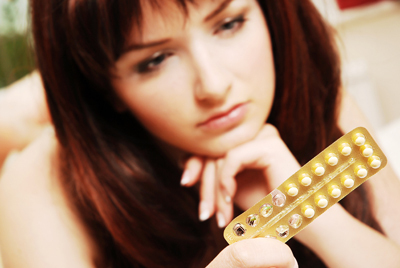 Emergency contraception is also available. Your initial appointment must be made with a doctor but subsequent appointments can be made with the practice nurse if you would like a repeat prescription. If you have a significant problem, such as wanting to change your pill, it would be more appropriate to see your doctor. Coils are fitted by Dr Van Stigt and Dr Koralage. Once a week on a Tuesday, Oxfordshire Sexual Health Service hold a drop-in clinic at our Victoria House Surgery between 3.00pm - 6.00pm. You can visit their website here to see if this clinic is the right clinic for your needs. Cervical smears should be done regularly from the ages of 25 to 65 and you will receive an invitation when this is due. All those aged 25-49 will be called every three years, and all those aged 50-64 will be called every five years. Please check with the practice nurse if you feel your appointment is overdue or you feel such examination is necessary when moving into the area. 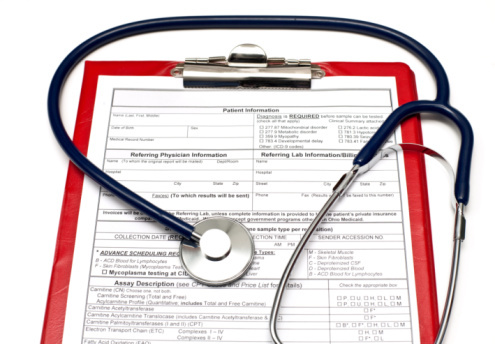 Patients are informed of their results in writing, with an appropriate explanation. If, however, you have not heard from us within three months of your test please contact the practice administrator. If you are pregnant we recommend booking to see your GP between six to eight weeks of pregnancy (dating back to the first day of your last period). Antenatal patients are seen by the doctor and midwife by appointment during normal surgery time throughout their pregnancy. Following baby’s birth, care is given in the home by the midwife and health visitor. All mothers are offered a six week postnatal check and family planning advice from their doctor. No drop-in clinic, you will be fitted into our regular surgery with the nurse and the doctor if needed. Well Baby Health Visitor Drop In - 9.30 to 11.00. Self-Weight/General Advice. No need to book. Baby Lunchbox - 10.30 to 12.00. Advice on feeding/Specialist breastfeeding support and advice. No need to book. No weighing available at this drop-in session. For support to quit smoking, you can contact Smoke Free Life Oxfordshire. They offer support in the community that is easy to access and you don't have to book an appointment. You can drop in and see one of their approachable, fully trained advisors whenever you want, at their clinics across Oxfordshire. They offer free, weekly one to one or group sessions over 12 weeks, as well as a free weekly supply of Nicotine Replacement Therapy. Their clinics are within local community settings including, shopping centres, community centres and worship places. To find out more, visit their website: https://www.smokefreelifeoxfordshire.co.uk/ or phone: 0800 246 1072 or 01865 238 036. You can also email them, at: info@smokefreelifeoxfordshire.co.uk. All partners perform minor surgery. This should first be discussed with your doctor during a normal appointment. Advice and all travel immunisations, including Yellow Fever, are available from the practice nurse - however only Yellow Fever is available at the Langford surgery. Ideally travel immunisation appointments will be made at least six weeks before and preferably three months, before you intend to travel. More information and a questionnaire are available on the above Travel Vaccinations tab. Our practice nurses run flu clinics during October. Injections are recommended for those over 65 or with chronic medical conditions. At-risk patients are also invited to have a pneumococcal vaccination. All doctors and nurses are available for lifestyle advice and health promotion. We have dedicated nurse/doctor-led clinics for diabetes, as well as nurse-led clinics for coronary heart disease, stroke, hypertension, asthma, COPD and epilepsy. Practice nurses are trained as smoking-cessation advisers and give help and support to those quitting smoking and advice on the use of nicotine replacement therapy. Weight management is a priority for the practice and all nurses can provide support for patients on a weight loss programme. We are offering registered patients a Musculoskeletal Specialist Physiotherapy service. The service allows those who have skeletal, soft tissue or nerve related conditions to seek an advanced Physiotherapy clinician triage appointment to gain a therapeutic diagnosis, understand the condition, be sign posted to the right service at the right time and gain a brief insight into self -management programs to ease the problem and start the road to recovery and better skeletal health. The service offers 20 minute appointments and is available as an adult service only. Visiting consultants hold clinics in Bicester and we are able to refer patients to these services. We are not funded for ear syringing and many surgeries do not offer this service. We do offer it because we thing it is a worthwhile service to offer to our patients. Why is a diabetic review important to me? You should have a diabetic foot check at least once a year here at the GP surgery (even if you are seen by OCDEM at the hospital). Diabetes can affect the blood supply to the feet and can also lead to reduced sensation. By having your feet checked regularly, early changes can be detected and managed appropriately. Once a year you will be invited to attend for a diabetic eye check. This is a national screening programme offered to all patients with diabetes aged 12 years and over. The delicate small blood vessels at the back of the eye can become damaged if you have diabetes and so detecting early changes can help prevent further complications. You will be asked to provide a morning urine sample every 12 months. The sample is sent off to look for protein in the urine. Protein in the urine can be the first sign that indicates the blood supply to the kidneys is being compromised which in diabetes can lead to further complications if not treated early. In diabetes, the target blood pressure is slightly lower and that is because a higher blood pressure can potentially damage the smaller more vulnerable blood vessels in the body, for example, in the eyes, the kidneys, and the feet. 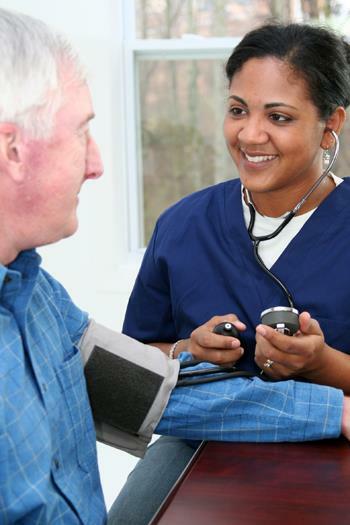 Did you know you can check your own blood pressure in the waiting room? Be sure to give the result to one of our receptionists so we can record it on your record for monitoring. We know that in diabetes the level of blood glucose in the body can fluctuate. The aim is to keep it within a healthy range avoiding hypoglycaemia (too low) and hyperglycaemia (too high). Abnormal blood glucose levels can damage the blood vessels in the body, including those that supply the heart, the brain, the eyes, the kidneys, and the feet. At your diabetic review we can discuss ways in which you can adopt a healthy eating pattern combined with keeping active. If weight loss is a goal, then there are a number of programmes within the Oxfordshire area that have been designed to help patients lose weight and lead a more active lifestyle. The National Diabetes Prevention Programme (NDPP) is a programme that is designed to help patients with pre-diabetes. The main aim to help you make lifestyle changes so that you don't get Type 2 diabetes in the future - this includes advice and support about healthy eating, losing weight, physical activity programmes, and managing your general wellbeing. The service is free and there are local programmes available. To see if you qualify for the programme, visit the website here: https://preventing-diabetes.co.uk/are-you-at-risk/ where you can get more information about the different kind of risk factors for Type 2 diabetes. You'll also have to have a blood test so speak to our receptionists to arrange a bloods test with one of our HCA's. After that, if you qualify, you can speak to your GP about getting referred. Oxford Health Community Type 2 Diabetes Team run a Diabetes Structure Education service - this is designed to support you in developing skills, knowledge and confidence so that you can take responsibility for decisions about managing your condition and live a healthy life. These are FREE to you if you have Type 2 Diabetes. You can self-refer to this service, or you can ask your GP for a referral. To self-refer, just visit their website (below). If you require any vaccinations relating to foreign travel you need to make an appointment with the practice nurse to discuss your travel arrangements. This will include which countries and areas within countries that you are visiting to determine what vaccinations are required. Please complete and return a travel form to the receptionist, ideally at least eight weeks before you travel. The practice nurses use these forms to advise you on necessary travel advice including immunisations or medications you may need. When you have completed and returned the Pre-Travel Questionnaire, if you have not received a message from the Practice Nurse regarding your travel assessment (within 7-10 days after returning your Questionnaire) please contact the surgery . Some travel vaccines are ordered on a private prescription and these incur a charge over and above the normal prescription charge. This is because not all travel vaccinations are included in the services provided by the NHS. Our fees are here. Have a look at our travel advice booklet, full of useful information to read before you go. You can also find lots more advice on the Travel Health Pro website. Here are a range of leaflets and links that you might find useful - they have been produced by various different organisations. If you have a Learning Disability and are over 14 years old, you can have a yearly health check! Have a read of this leaflet and book an appointment with your GP. If you need some medical help during the weekend or after 6:30pm when your GP surgery is closed, here is some information about NHS 111. And this leaflet tells you just how important it is that you have your flu jab! When it is hot - this leaflet will help you cope with a heatwave. This website - A picture of health - has lots of leaflets on all kinds of different illnesses. Finally, Oxford Health Learning Disability Service has a useful website full of great leaflets and information. Aged 14 to under 16? Under the General Data Protection Regulations (GPDR) introduced in May 2018, Alchester Medical Group is now required to have consent from all patients aged 14 to 16 years of age to access their online medical record (Patient Online or Patient Access). If you would like your own access, please complete and sign the online registration request form, bring it in to the surgery with proof of your ID (passport, photo identity card). If you would rather your parent/guardian have access to your account please complete the online patient access registration form, filling in who you would like to have access to your records. Please remember to sign it before bringing to back to us! Once you have brought the registration document back to us, we can reactivate your account. Please note: you will be sent a letter regarding this when you turn 14 only if you already have an online Patient Access account. If you don't re-register your online account after that, then your account will be disabled. You can re-register at any time. For patients who don't currently have an online Patient Access account and would like one, or would like their parents to have access to their medical record, please fill in our online patient access registration form & have a read of our Patient Online FAQ leaflet - and this along with bring some form of ID into the surgery. When you turn 16 years old, the Patient Access system will automatically stop your access and you will have to come in and re-register again. Medical examinations for special purposes, e.g. HGV/PSV driver, pre-employment, fitness for sports, fitness to travel, insurance medicals etc. can be arranged outside normal surgery times. A fee, as recommended by the British Medical Association, is payable for these examinations. Our current list of fees are here. Dr Van Stigt offers injectable anti-wrinkle treatments at this private, non-NHS clinic. Open to all! Following 16 years in the Royal Air Force, Dr J R Jones entered General Practice in Bicester and continued his aviation practice initially at RAF Brize Norton and then took over the AME post at Oxford Airport in 1999. He has worked closely with the staff and students at Oxford Airport since that time. Dr Jones now holds a clinic at Langford Medical Practice in Bicester on a weekly basis.